I guess you might say that I am a collector of cookbooks. But it is not just any cookbooks I collect. I want my cookbooks to offer me plans and dreams along with the recipes. I guess I demand a lot from them. I want cookbooks that double as travel guides. I want to see beautiful photographs of the places where this food is traditional. I want to learn about it's history and geography. I want to look at a lot of photos and pretend that I am there as I cook and eat the meal. I want to learn about the ingredients that are traditional to this area - how they are grown or raised and how they are used. I want to know how a dish is served and what is served with it. And I really feel as if I've hit the jackpot if I find one of these wonderful books in Spanish so I can also use it to build my knowledge of the language. I suppose it would make more sense to buy an Italian cookbook in the Italian language, but that would be pushing the challenge a bit too far. I bought this one about six months before I went to Italy. I have to admit that I spent way more time drooling over it than cooking from it, but I've loved every minute of it. It explains how the different areas grow different crops and, therefore, have evolved different food traditions. The photographs on every page are wonderful! This oldie is certainly still a goodie. And I just saw it at Barnes & Noble for $1.59! It has great pictures and lots of information about ingredients and how to use them. It brings back lots of wonderful memories of my trip last year and makes me think about when I can return. I know both my travel buddies would be happy to join me. I bought this one years before I moved to Mexico. It was published by Barnes & Noble and I think I got it from their bargain books. 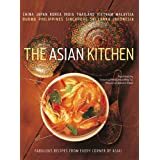 It has recipes from all over Asia: China, Thailand, Indonesia, Japan, Vietnam, Malaysia, and India. All the places I intended to go when I first retired - but more of that in my next post. There aren't any photos of the countries, but there are great ones that show all the steps of preparation. Not long after I moved to Mexico, I dated a Mexican guy who owned a small Chinese restaurant. I loaned him my book and he never gave it back. After a long search, I finally found another copy. I don't loan out cookbooks any more. This is another one with beautiful photographs of the people and countryside of Greece. 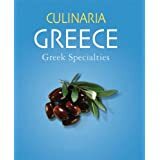 It's filled with information about Greek life and traditions in addition to the recipes. There are articles on herbs and medicinal plants, wines and cheeses. It's another one that I have in Spanish. I got both the first one and this one from Costco, so they are probably available in English at Costcos in the US. 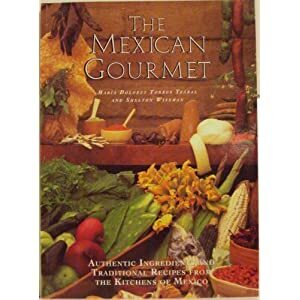 This brings me back home to Mexico and another big, beautiful, colorful book full of wonderful recipes from the homes and restaurants from all corners of the country. It is a great book but also old enough to merit a really low discount price at Amazon.com. In my experience, this book may be the more authentic of the two. 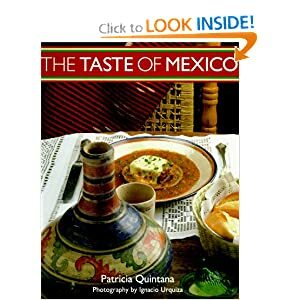 The pictures and recipes found here are what I see in the markets, on the streets, and in the restaurants where I live and visit. It has lots of photos of the country I love and plan to spend the rest of my life in. I guess you can tell that I borrowed this photo from Amazon.com, but I don't hink you can really look inside. But follow the link to go there, you can get a used copy for less than $8. I hope you've enjoyed this little culinary journey. Whenever I'm getting ready to go somewhere or even wishing I was, I love to get these books out to decide where I want to go, what I want to do, and what I want to eat. Of course, the eating part I can do any time. And I do. But i never cook the same thing twice. There are so many great new recipes to try - and that is the adventure part of it - that I have no desire to repeat the same old thing.